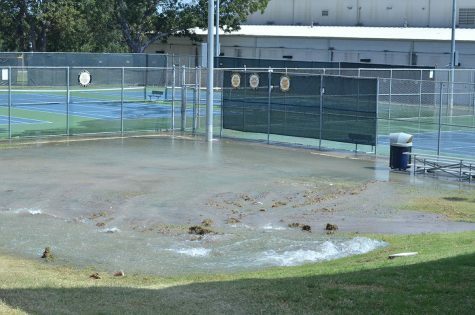 A school water pipe burst at 11:30 a.m., briefly compromising school water and A/C systems. Water and A/C were available around 1 p.m. in buildings 4 and A for student use. Operations continued as normal.